A BAM! President's Pick and National Book Award Finalist From the highly acclaimed, multiple award-winning Anthony Doerr, a stunningly ambitious and beautiful novel about a blind French girl and a German boy whose paths collide in occupied France as both try to survive the devastation of World War II. Marie-Laure lives with her father in Paris near the Museum of Natural History, where he works as the master of its thousands of locks. When she is six, Marie-Laure goes blind and her father builds a perfect miniature of their neighborhood so she can memorize it by touch and navigate her way home. When she is twelve, the Nazis occupy Paris and father and daughter flee to the walled citadel of Saint-Malo, where Marie-Laure's reclusive great-uncle lives in a tall house by the sea. With them they carry what might be the museum's most valuable and dangerous jewel. In a mining town in Germany, the orphan Werner grows up with his younger sister, enchanted by a crude radio they find. Werner becomes an expert at building and fixing these crucial new instruments, a talent that wins him a place at a brutal academy for Hitler Youth, then a special assignment to track the resistance. More and more aware of the human cost of his intelligence, Werner travels through the heart of the war and, finally, into Saint-Malo, where his story and Marie-Laure's converge. "Doerr's stunning sense of physical detail and gorgeous metaphors are dazzling. ("San Francisco Chronicle") Deftly interweaving the lives of Marie-Laure and Werner, he illuminates the ways, against all odds, people try to be good to one another. Ten years in the writing, "All the Light We Cannot See" is a magnificent, deeply moving novel from a writer "whose sentences never fail to thrill" ("Los Angeles Times") . "Enthrallingly told, beautifully written and so emotionally plangent that some passages bring tears. " 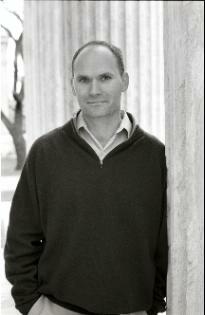 - Washington Post "Anthony Doerr sees the world as a scientist, but feels it as a poet. He knows about everything - radios, diamonds, mollusks, birds, flowers, locks, guns - but he also writes a line so beautiful, creates an image or scene so haunting, it makes you think forever differently about the big things - love, fear, cruelty, kindness, the countless facets of the human heart. Wildly suspenseful, structurally daring, rich in detail and soul, Doerr's new novel is that novel, the one you savor, and ponder, and happily lose sleep over, then go around urging all your friends to read - now. " -JR Moehringer, author of The Tender Bar "A novel to live in, learn from, and feel bereft over when the last page is turned. " - BOOKLIST "All the Light We Cannot See is a dazzling, epic work of fiction. Anthony Doerr writes beautifully about the mythic and the intimate, about snails on beaches and armies on the move, about fate and love and history and those breathless, unbearable moments when they all come crashing together. " -Jess Walter, author of Beautiful Ruins. "This jewel of a story is put together like a vintage timepiece, its many threads coming together so perfectly. Doerr's writing and imagery are stunning. It's been a while since a novel had me under its spell in this fashion. The story still lives on in my head. " -Abraham Verghese, author of Cutting for Stone. Anthony Doerr has won numerous prizes for his fiction, including the 2015 Pulitzer Prize. His most recent novel, All the Light We Cannot See, was named a best book of 2014 by a number of publications, and was a #1 New York Times Bestseller. Visit him at www.anthonydoerr.com.